The proposal to reform Mexico's gambling regulations will be introduced to the country's parliament on Sept. 9. The government believes that it will be officially approved no later than Sept. 20, according to Miguel Angel Ochoa Sanchez, President of the Association of Licensees, Operators and Suppliers of Gaming and Entertainment in Mexico (AIEJA). "The work is almost over," Ochoa Sanchez said in an interview with Mexico's El Universal. "[The bill] will be introduced to the Chamber of Deputies on Sept. 9 and it will be approved by Sept. 20." According to the AIEJA President, the reform is going to receive a unanimous vote from the Mexican Parliament as it is generally believed that it will help make the industry much more stable and transparent than it is today. During the interview, Ochoa Sanchez stressed the importance of a quick adoption of the reform, as he thinks that everything should be in place before Mexico's general elections in 2015 in order to avoid further delays. "It's a very ambitious project," Ochoa Sanchez said referring to the changes that the reform should bring to the current system in place. According to industry rumors, the new gambling reform is expected to raise the minimum age to play in brick-and-mortar casinos to 21, offer operators a system of 10-year long licenses, regulate online gambling, and establish a new Advisory Council composed of the secretaries of Health, Tourism, Economics and Government, as well as non-governmental organizations. Commenting on the reform, the President of the Commission of Gaming in the Chamber of Deputies Fernando Zarate Salgado stated that "the new law is going to put some order in the gambling world by regulating it and by fixing some issues we have now." Although Zarate Salgado admitted that the bill that will be introduced to the Parliament on Sept. 9 may be modified before its official approval, he believes that it will be voted on by "99 percent of Mexico's deputies." Earlier this month, two of Mexico's most famous poker pros, Angel Guillen and Christian "Grillo" de León , spoke with PokerNews about the importance that the reform is going to have for the development of the poker industry in the country. "[Poker] has grown a lot in Brazil since they have started to organize tournaments all over the country. Now, I am expecting something similar in Mexico as well," Guillen said. "The law is kind of tricky at the moment," Guillen continued. "But they are working on it, and hopefully we will have a big tournament in Mexico very soon. 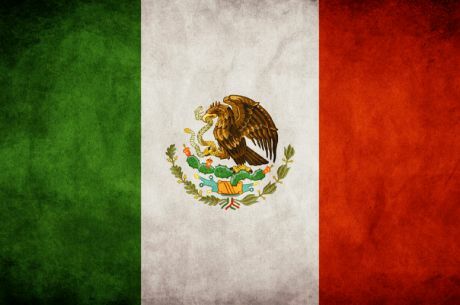 September will be the month that is going to show us where Mexico is headed poker-wise." Mexico's current gambling regulation was approved in 1947 and is considered by many to be outdated and ineffective to guarantee the development of the gambling industry and at the same time prevent corruption and money laundering.